"We are continuing to improve because of 2 Peas Pty Ltd."
"2 Peas Pty Ltd has been excellent and has exceeded our expectations." Foodfx is a manufacturer of Hermans Sauces, Hermans Homemade and Port Mahon food labels, as well as a custom food manufacturer. “FoodFx began with Ostendo in 2016, as a tool to manage batch works and dispatching. As a small business we had tried other systems with little success, but with the need to manage our business more efficiently we required an operating system that would ensure we moved to the next level. Costs of competitive programs were exceedingly high and our business was not yet at the point to spend." "Ostendo has been excellent and has exceeded our expectations. A number of specific program writes and a greater understanding of the system has ensured we maximise Ostendo. "We were fortunate enough to be introduced to 2 Peas Pty Ltd"
We were fortunate enough to be introduced to 2 Peas Pty Ltd through our external accountant. In the last twelve months, Renae our MYOB consultant has streamlined our payroll services and accounting processes. Renae has written up clear procedures for staff to follow. Renae has introduced Elenberg Fraser to other add on’s that have reduced data entry time. Dataline now takes care of our accounts payable and approval processes. Renae assisted in setting up receipt bank to manage all our credit card processing. Renae also introduced us to Bi4Cloud and helped streamline our existing chart of accounts to enable us to produce real-time customised consolidated reporting across all our entities. Renae is an effective and professional communicator and has assisted Elenberg Fraser on many levels in our accounts department. "We saved approximately 10 hours a week across all our files"
Chisholm and Gamon have been using the services of 2 Peas since August 2014 we were assigned Renae Petersen as our bookkeeper. Renae upgraded our files from Version 19 to AR Live streamlined our bookkeeping with bank feeds, pay superannuation and the in-tray. Our practice has grown over the last four years and 2 Peas has supported this growth. We have another bookkeeper from 2 Peas coming into the office once a fortnight to assist with accounts and Renae now supports us on a higher level with our reporting requirements. Over the last 12 months, Renae has trained us on how to manage the bank feeds ourselves and this has saved me approximately 10 hours a week across all our files. We love the bank feeds and we don’t know how we ever survived without them! Our existing file was becoming very large and outdated and Renae has collaborated with our accountant to set up a new file with a better chart of accounts and incorporated MYOB jobs to allow us to provide management with better reporting. Renae made the transition of starting this new file seamless with little downtime to our business she used her excellent MYOB knowledge to export and import key information from the old file to the new file. Renae is a pleasure to work with she has a big picture approach and is always looking at ways to streamline our accounting processes. We started using 2 Peas in May 2017 and they had an immediate positive impact on our business. Renae is very knowledgeable, a patient teacher and she has a great understanding of Xero. My own bookkeeping skills are basic to say the least but I'm constantly learning from Renae which is a huge help in processing the day to day accounts. I would highly recommend 2 Peas and Renae to anyone in need of an experienced bookkeeper. "Glowing Structures Pty Ltd.like to share, we are fortunate to be experiencing a great working relationship with your consultant Kaylene. We really do feel Kaylene understands our processes, she asks questions if she needs to and she is up to date in the bookkeeping, accounting and advancements in technologies. I find her extremely trustworthy, I feel like I can be completely transparent getting the most out of our accounts. Kaylene is an absolute dream to work alongside. She proves to be awesome each & every time, its very clear she loves her work & her clients !! Arriving very green to the financial world, Kaylene has made me feel comfortable. Congratulations for recruiting exceptionally well, Kaylene is a dear blessing. We look forward to continuing a very wholesome relationship with 2 Peas. We have been using 2 Peas for our bookkeeping and BAS requirements for the past year. We have been very happy with the service provided, Renae and Pam have always been very professional and have responded to any queries we had in a timely manner. We would happily recommend 2 Peas to anyone. I was extremely pleased with the service provided. All my questions, and more, were answered plus a pathway put in place to get me on my way. Added bonus - access to more help down the track as I need it. Very happy client! Summit Workwear and Safety have been using the Ostendo software platform for the past eight months. In this time we have been very happy with the program and its functionality for our business. As good as the program has so far proven to be we believe it is the ongoing support we receive from 2 Peas and in particular Pam and Graeme that makes this package work for us. The professional support and ongoing assistance we receive is invaluable. We have commissioned a few custom reports recently that have greatly assisted us to better our business processes. These reports were supplied exactly as requested and in a quick time frame. I am happy to recommend Ostendo but in particular Two Peas to anyone that might be considering this type of software package. We haven’t experienced anything less than a great experience with Kerry from 2 Peas. Kerry has been a total life saver and this is not an exaggeration! Thank you so much for helping us turn our books around and providing me with brilliant training. We changed our accounting system and we needed a good bookkeeper to help us with the transition and to set up our accounts properly. 2 Peas and Tabor delivered that in spades, we were very happy with the services you provided. Thank You. 2 Peas was recommended by my accountants Renae from Two Peas has been amazing. She has been so supportive and thorough in teaching me how to use the MYOB software and is always available to assist whenever questions arise. Her friendly manner makes her a pleasure to work with. I highly recommend Renae and the Two Peas Team! Renae from 2 Peas has been a fantastic resource and she has taught me so much in such a short time. Since I took over the running of the practice in October 2014 I have been trying to streamline the paperwork and MYOB. My accountant recommended 2 Peas when I had issues with the BAS statement. Renae pinpointed the issue within 5 minutes and has streamlined MYOB and saved me so much time and effort. I would highly recommend Renae and 2 Peas. 2 Peas our preferred MYOB consultants assisted us with the transition to the MYOB cloud version. The combined use of MYOB and the training received by 2 Peas has meant that I have learned how to complete my own bank reconciliations and have reduced costs in bookkeeping fees. I would highly recommend MYOB and 2 Peas to take care of your accounting requirements. Pam from 2 Peas has not only assisted us with the facts and figures of our business but more importantly she has guided and mentored us through many aspects of a multi faceted operation, allowing us to truly believe in our concept and keep striving for greater success! Having purchased MYOB and trying to work out how to convert our QuickBooks files was a concern until I contacted Pam at 2 Peas, outstanding service, friendly, professional, 100% accurate and extremely reliable. 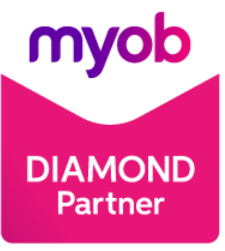 Within 2 days we had our files converted and were up and running with MYOB, absolute pleasure to deal with 2 Peas and nothing was an issue for them, we would have been lost without them. It was a great experience to work with Pam from 2 Peas on the conversion of a client file from Quickbooks to Myob Accountright. I was extremely impressed with the service, time and amount of work provided to get the Myob file to perfection. I will be highly recommending 2 Peas in the future. Thank you for all your efforts in making our migration smooth and trouble-free. It’s great working with professional and competent folks. 2 Peas have provided a great support for Gorgeous Cosmetics. From day One, when we were contemplating just how to set up our MYOB Retail Manager system for 2 stores, to today, when we have 10 locations across Australia and USA using the system, 2 Peas have helped us all the way. The level of support, knowledge and willingness to help and assist are extraordinary. This goes beyond Ostendo. 2 Peas has assisted us numerously with MYOB issues and accounting issues. The training and input we have received from 2 Peas has been some of the most informative since the implementation of our software and the customer service offered was outstanding. Even when our questions and requests are not straight forward, our experience has been that the 2 Peas team have wide experience and skill to draw on and go the extra mile to look for creative solutions. Their persistence and dedication to getting things right is exemplary. 2 Peas Pty Ltd has assisted in streamlining our accounting processes and offering exceptional services and skills to our business. We highly recommend moving MYOB to the cloud and engaging 2 Peas Pty Ltd for all your accounting requirements. Many thanks to Renae and Tabor at 2 Peas for a wonderful service. Their customer service is so helpful and the bookkeeping advice always valuable and timely. Renae....I just want to thank 2Peas and yourself for the assistance provided to me over the past few months. 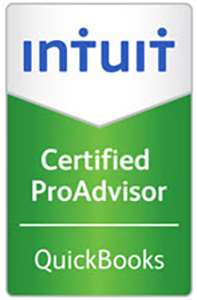 You have successfully converted my chart of accounts from QuickBooks to MYOB in a timely and efficient manner. But just as importantly you have provided a great deal of support, training and guidance to me, during and post the conversion process. Renae, you have always been available to answer my queries, often after normal business hours, and your help, encouragement and responsiveness is appreciated. Boost Juice Head Office recommended we used 2 Peas Pty Ltd for our MYOB Setup, Installation and training. 2 Peas Pty Ltd made our experience to the cloud so easy, they have helped reduce our bookkeeping with the introduction of MYOB live bank feeds. A truly professional team who not only implemented all our accounting requirements and trained me but support us anytime we require help and provide step by step training manuals for me when I am stuck. I am thrilled with the ease and speed of your service. I did not think transitioning from our old version of MYOB to the new one and also to the Cloud would be so pain-less! Renae is great to deal with-prompt, courteous and VERY knowledgeable! If anyone ever asks me to suggest a MYOG Guru I know who I would refer them to! 2Peas Pty Ltd!! Thank you for all your assistance. “Precedence started working with 2 Peas in September 2017. The transition from Bookkeepers has been seamless and after 3 months Renae and I have formed a solid working relationship. I have already seen improvements to our Finance Department since Renae started working with me and I really appreciate the suggestions and ideas she offers to help improve the efficiency of our systems.